For many online shoppers, the checkout screen noting "zero sales tax" seems a good reason to buy on the Internet. But, reports CBS News Correspondent John Blackstone, a new law in California requires online retailers to collect sales tax, and Amazon, the world's biggest Internet retailer, with $34 billion in sales last year, isn't happy. Asked whether Amazon is looking at "any way they can" get out of collecting sales taxes, Betty Yee, a member of California's tax board, called the Board of Equalization answered, "Exactly. Exactly." She says Amazon and other online stores are simply being told to do what other retailers do. Online retailers, she says, "have the obligation to collect the tax on behalf of the consumer and remit it to the state of California." Amazon launched an expensive campaign to overturn the law through a ballot measure putting the issue into the hands of Californians. If it gets 500,000 voters to sign its petition over the next two months, the issue would be on the state ballot in February. The company declined to be interviewed, but issued a statement saying, "Californians deserve a voice and a choice about jobs, investment and the state's economic future." 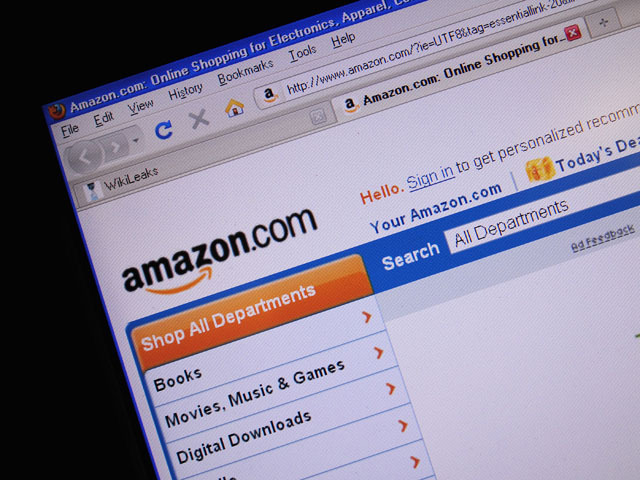 Not just in California, but across the country, Amazon has aggressively fought back whenever a state government has tried to force the company to collect sales taxes for online purchases. At least 15 states have moved toward requiring Amazon to collect sales tax. In New York, Amazon is challenging a sales tax law in court. And in South Carolina, Amazon shut down construction of a huge distribution center when the state considered a new sales tax law. Amazon Vice President Paul Misener said at the time, "We just cancelled $52 million worth of investments and contracts in the state." South Carolina backed off, and construction resumed. Neal Sofman, who runs a small San Francisco bookstore, says it's hard enough competing against the Internet Goliath so, "Why shouldn't they collect sales tax like everyone else. ... They, quite simply, want an advantage. They don't want to play by the rules." It's estimated that, nationwide, states already suffering under huge budget deficits will lose more than $11 billion in uncollected sales taxes next year. California alone could lose nearly $1.3 billion. "These are important dollars that could support vital public services like public education," says Yee. In reality, all consumers are supposed to pay sales tax whether they buy in a store or online. But since online businesses have been largely exempt from collecting sales tax, people who actually go out to shop have been paying for the privilege. One, in Sofman's store, told CBS News, "I'd rather pay the extra bucks and come to an actual bookstore." However, plenty of Californians have made the choice to pay less and shop online. Amazon will be encouraging them to vote to keep the sales tax loophole open.